Statistical data on heat-recovery steam generators (HRSGs) installed at Russian TPPs are presented. 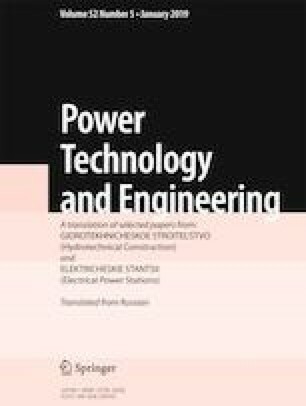 The dynamics of commissioning of HRSGs and their distribution according to the number of pressure levels, configurations (vertical or horizontal), power-generating entities, manufacturers, and the capacity of associated gas-turbine units are described. Information on the leading HRSG suppliers in Russia is given. It is proposed to create a once-through heat-recovery steam generator as a promising field for the development of the Russian boiler industry. Translated from Élektricheskie Stantsii, No. 8, August 2018, pp. 2 – 6.